Urbanites wondering into the countryside for escapism and fresh air can be inspired by ideas of destination — a pub or tea rooms at the end of a walk. But what if artists were to add to the experience by providing some sculptural shelters along the way? Studio Weave is a London–based architectural practice, which values the idiosyncratic, the skills of the master crafts person and likes to balance an open–minded approach to create a diverse body of work. 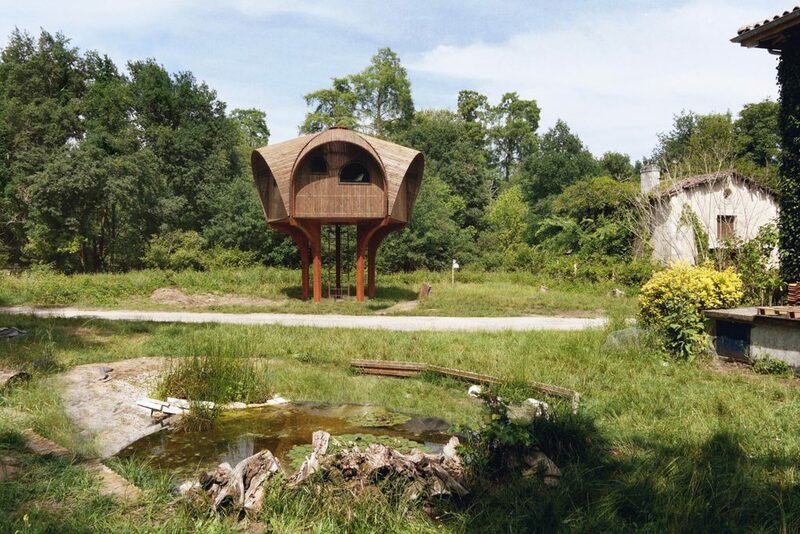 Its Le Haut Perché (above) is water tower referencing a shelter constructed amidst woodlands and streams and was designed as part of The Refuges Périurbains project initiated by the arts and architecture collective Bruit Du Frigo. The project encourages the exploration of Bordeaux’s fringe sites by creating a network of stay-over shelters on the edge of the city. 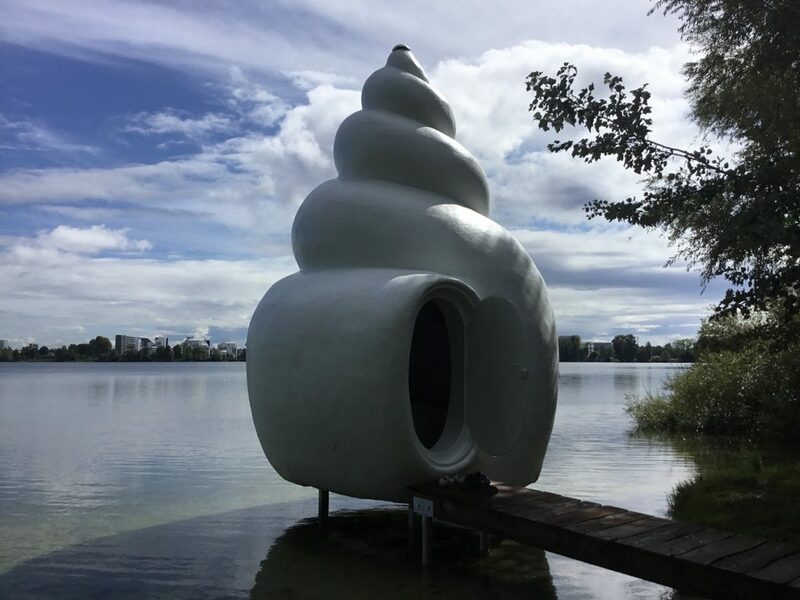 Also built as part of the Refuges Périurbains project is a giant gastropod, sculptural shelter Neptunea, by artists Mrzyk & Moriceau. It works perfectly as a shelter for hikers and underlines the project’s aspiration to promote a sense of adventure and exploration. Heather Peak and Ivan Morison are the founders of Studio Morison, a practice which seeks to transcend the divisions between art, architecture and theatre. 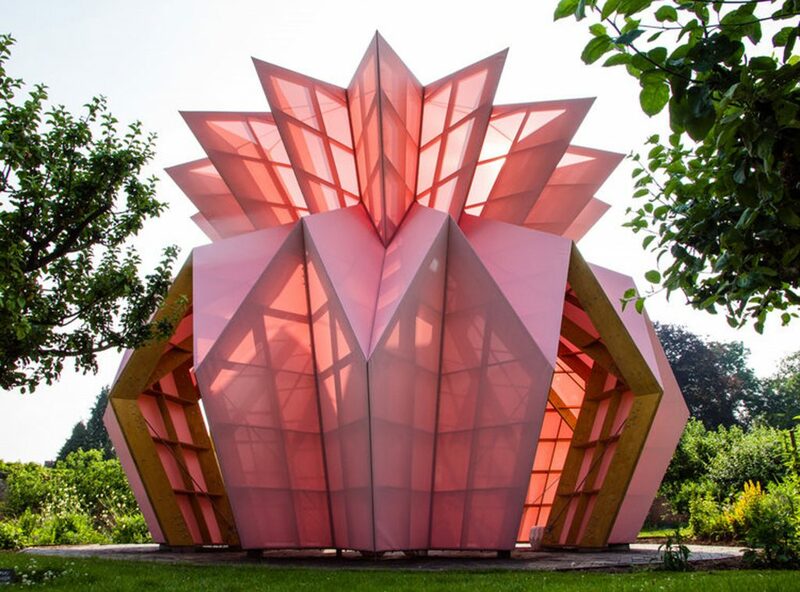 They recently constructed a pink pavilion shelter entitled Look Look Look within the Capability Brown–designed walled garden of Berrington Hall in Hertfordshire. The fanciful, origami–like, temporary structure was inspired by fashionable 18th-century wealth statements, such as importing pineapples and the bright pink and blue of the Georgian building’s interior colour pallet. Studio Morison is also the practice behind a beautiful, double–domed shelter entitled I am so sorry, Good-bye. 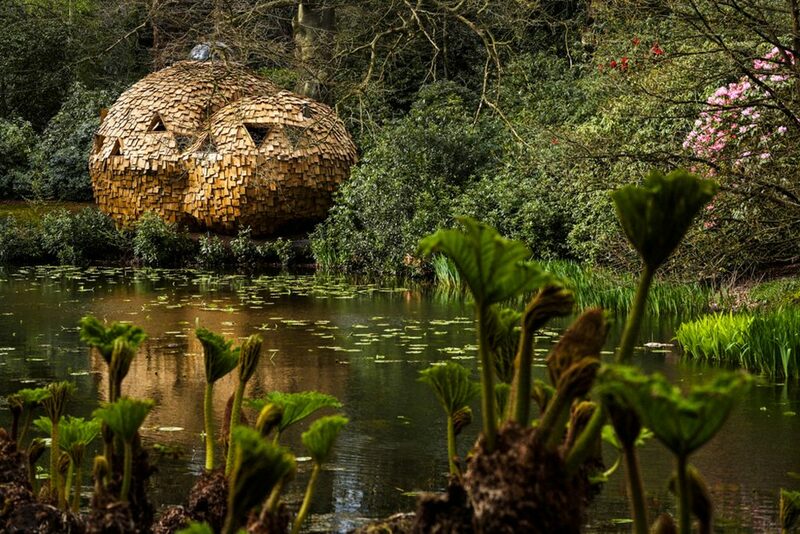 It was originally created using wood harvested from naturally–fallen trees at the Tatton Park Biennial but also had a further incarnation at London’s Barbican Waterside. 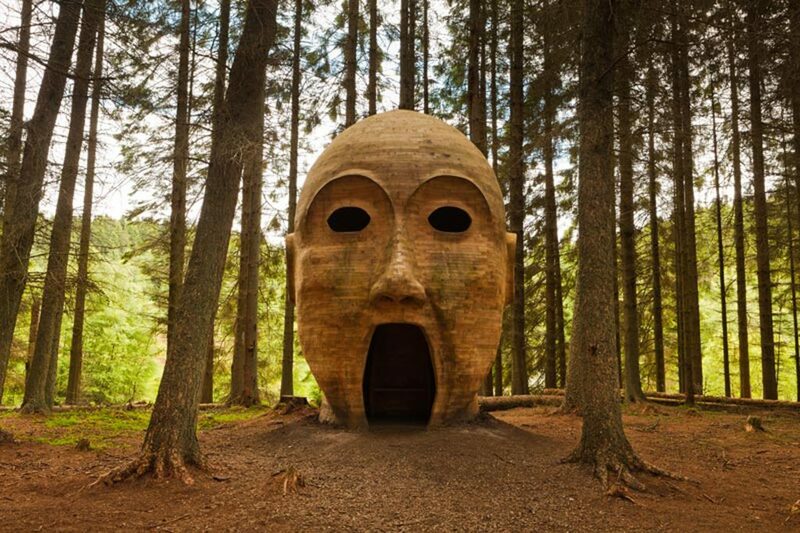 And if you’re heading to the north of England any time soon, why not take a detour to the two-storey, sculptural shelter created by artist collaboration Simparch in the Kielder forest near the Scottish border, which was inspired by the regions Celtic Roman folklore.